The first thing to consider when planning a perennial flower garden is what goal do you have in mind. Would you like to have flowers that bloom all season? Do you plan on mixing in annuals? Will the garden show from all four sides? After you figure all of these things out, then it is time to come up with a plan. Some flowers do well in full sun, while others like morning and late afternoon sun only. If you are in the south, partial shade may be better. There are exceptions to this rule. 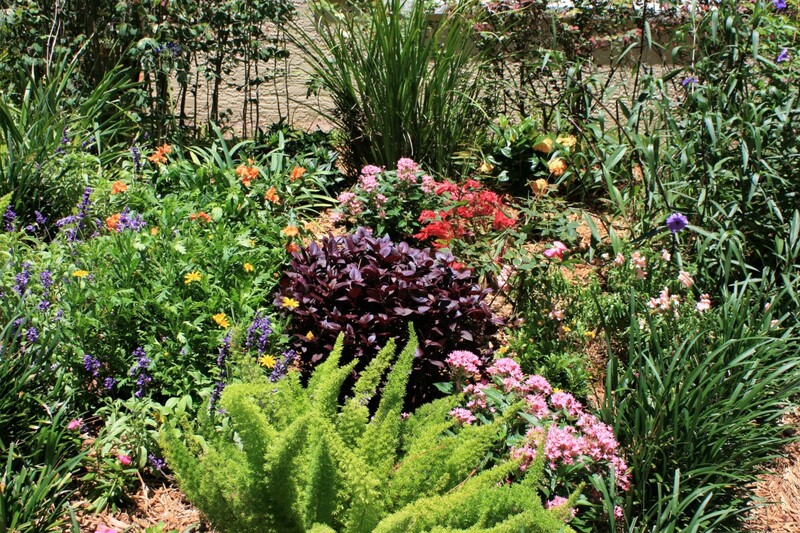 Decide if you want a sunny garden or a shade garden. 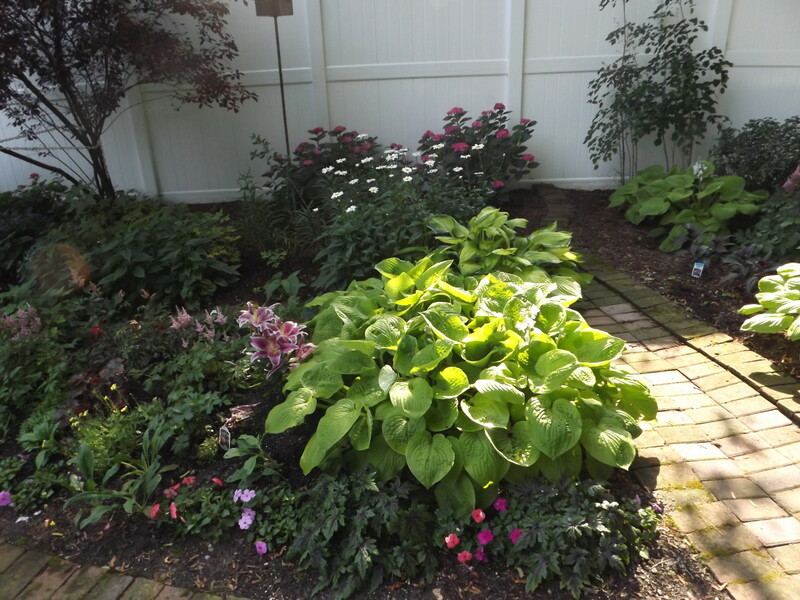 Shade plants are harder to find, but there are hostas, ferns, etc that do well. 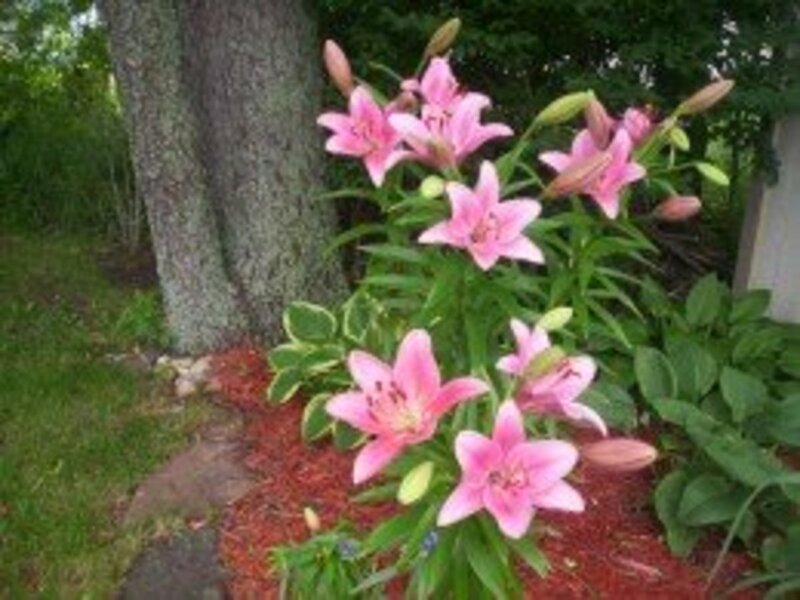 Asiatic lilies do well as do most wild flowers that can be found in the woods. Be careful with the wild flowers though. Some of them will take over the entire garden. Violets are one of these. Keep in mind which types of plants you'd like before choosing the spot. If you have a mostly sunny yard or mostly shade, then you may not have a choice. Just choose the flowers you'd like, keeping this in mind. Plan before you dig. Using a garden hose to plan the shape of the garden can help. Flower gardens look best without straight lines. A kidney shape is pleasing or if the garden is going to be against a fence or building, think about a curvy line. After you shape your garden with the hose, you can change it until you get the desired shape. Get out a piece of paper and pencil before you begin planning which plants to purchase. Measure the garden and then draw a picture. Get out a plant catalog and look at the plants you'd like and check the heights and widths, colors, and bloom time. You'll find more information below to help you. Flowers look best in uneven numbered groups. 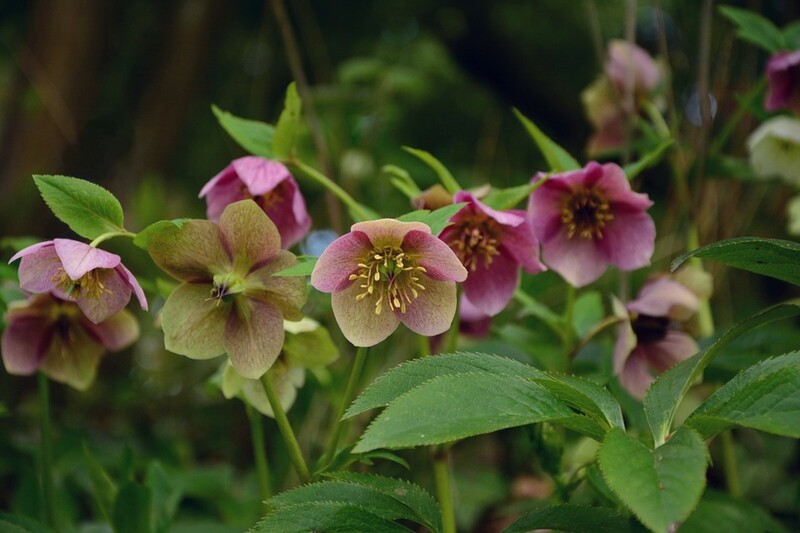 It is best to start with a grouping of 3, unless it is an extra large plant like a bleeding heart. Fill in the paper before you start purchasing plants. If necessary you can move the plants later that don't work, but it helps to do it right the first time. If you'd like to have flowers that bloom all season without using annual flowers, this can be a challenge. It is do-able. Don't start buying plants and plopping them in the garden without some thought first. Tulips and daffodils bloom early as do most spring bulbs. Many of the wild flowers bloom in the early spring. Bleeding Hearts are an early bloomer. 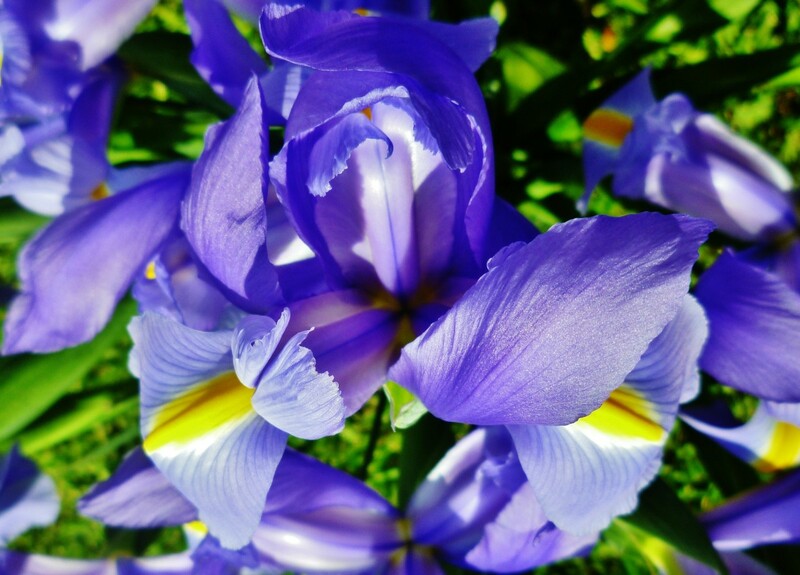 Next irises will bloom. Soon asiatic lilies follow. Different asiatics are available that bloom at different times. 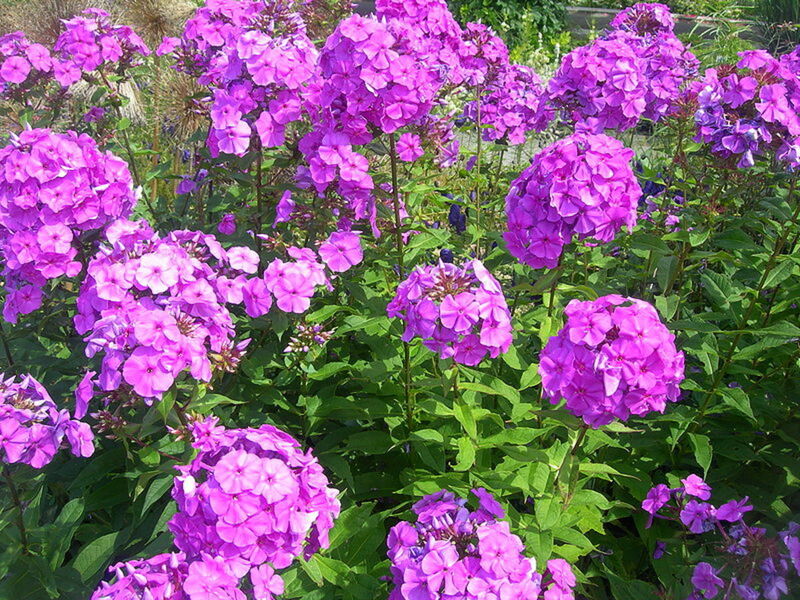 The patio varieties bloom a little earlier than the others, so think about including those. In midsummer there is a wide variety to choose from. 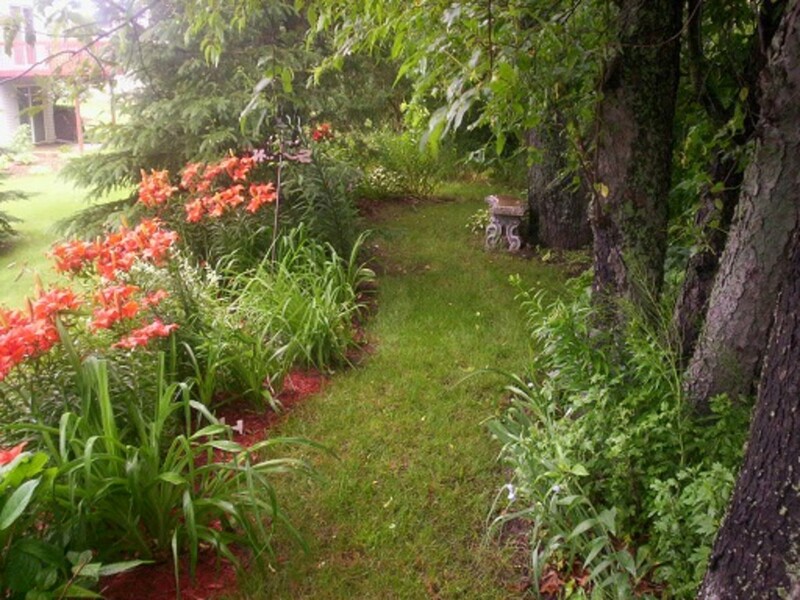 Daylilies, coneflowers, rudebeckia, shasta daisies, oriental lilies and the list goes on. Late blooming daylilies and mums bloom in the fall. If you've kept your flowers deadheaded after they bloom, some of these will still be blooming in the fall. If your bed can be seen on all four sides, you'll need to plant the taller plants in the middle. If they are going to grow against a fence or building, plant the tall ones in the back. Next use the mid-size plants and then plant the small plants in the front. 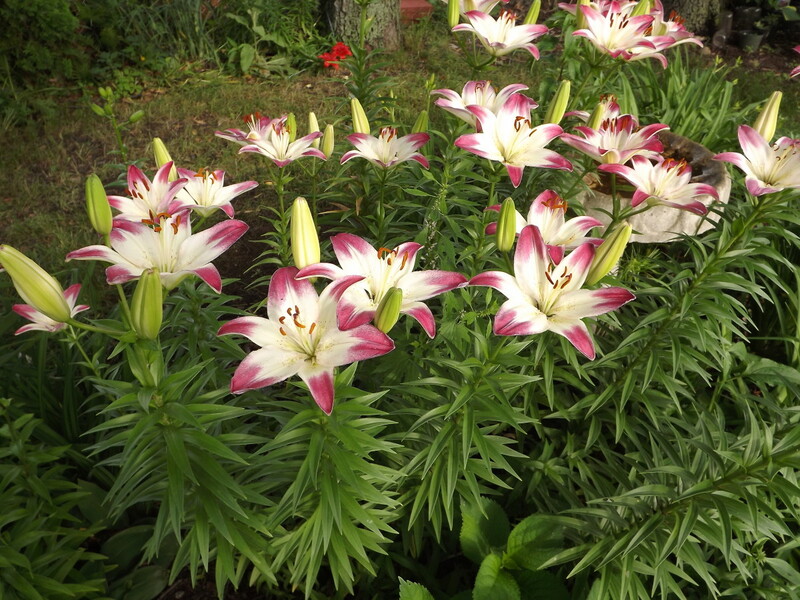 Lollipop Asiatic Lilies make a nice addition for blooms in June. Would you prefer pastels or bright colored flowers? Look at a color wheel and choose the opposite color on the wheel. An example is purple and gold. This can make a real statement. One of my neighbors used these two colors in sweeping gardens across her yard. We admired them every time we walked by. White always looks nice with any bright color. A soft white would go well with pastel colors. Think about plants that have colorful leaves. 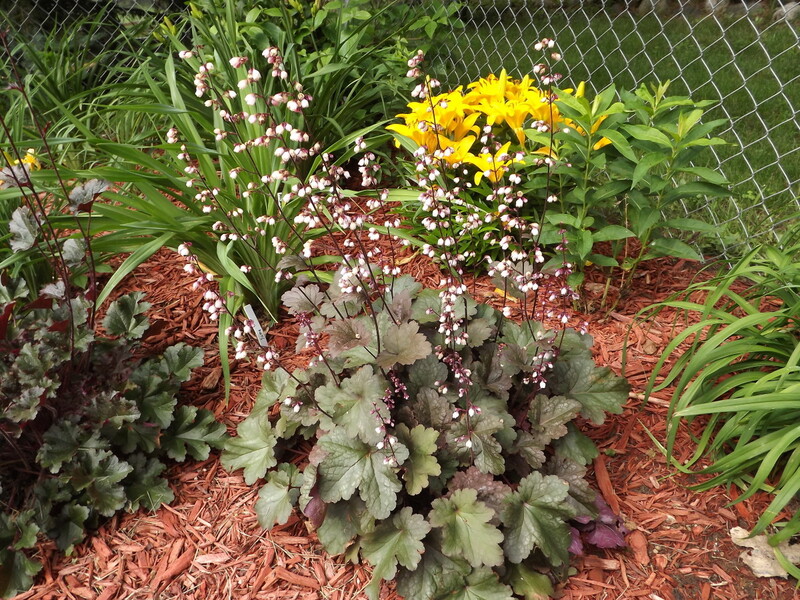 I've purchased some coral bells with purple leaves this year and they make a nice splash of color before and after other flowers bloom. You may want to have a theme garden. A family garden is a nice idea. Just choose plants with the names of your family members. 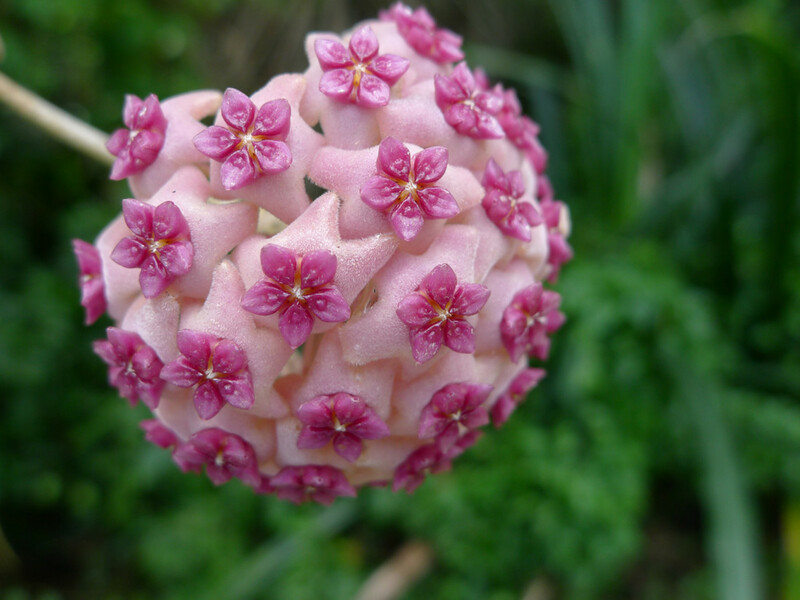 Many varieties of flowers have the names of people. An example is the Becky Daisy that is a tall variety of Shasta Daisy that spreads well. Daylilies are available that are named with people's names. A memorial garden is a nice way to remember someone special that has passed away. Plant all of the flowers the person loved or reminds you of them. If you like to visit garden centers, stop at one on each vacation and bring back a plant to remember the good times you had. Plant a garden in your favorite team's colors. These always look nice. By mounding up the dirt, you can raise the height of your garden. This has advantages. From the street your garden will look beautiful, because it will raise it to a higher level which will show it off more. A raised bed doesn't need as much bending to care for and you can use soil that is richer than that available in your area. Of course a raised bed isn't necessary and it does take more work to create. The choice is up to you. You'll enjoy your perennial flower bed for years to come. Because it has been carefully planned, it will look beautiful. Even if you are a beginner, the garden will add to your lawn and the birds and butterflies will enjoy it. Chantelle, Yes, I love gardening. 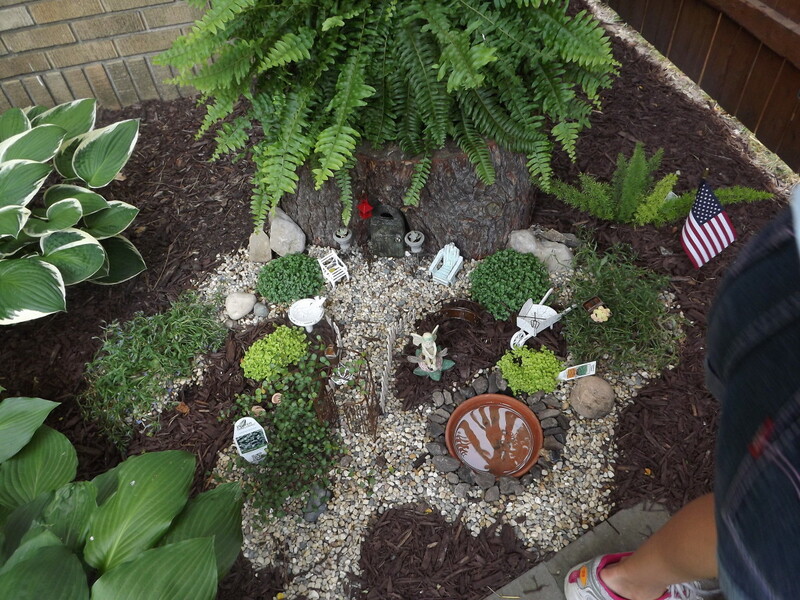 Have fun creating your memorial garden. Great article. I can tell you love to garden. I'm in the process of planning a memorial garden for my Grandma. It was nice to see we are on the same wavelength. Hazel Abee, Thank you for the compliment. Orchids are beautiful and you are fortunate that you can grow them where you live. So beautiful garden .... MY balcony is filled with Orchids only .. as i am staying in an apartment. Peggy, Thanks for looking at my photos. I hope your garden is beautiful this year. Your garden is absolutely beautiful! I do like incorporating perennials into our garden along with a few annuals each year just for a splash of additional color. UUB votes and will share. Sally, Thanks for reading and voting it up. 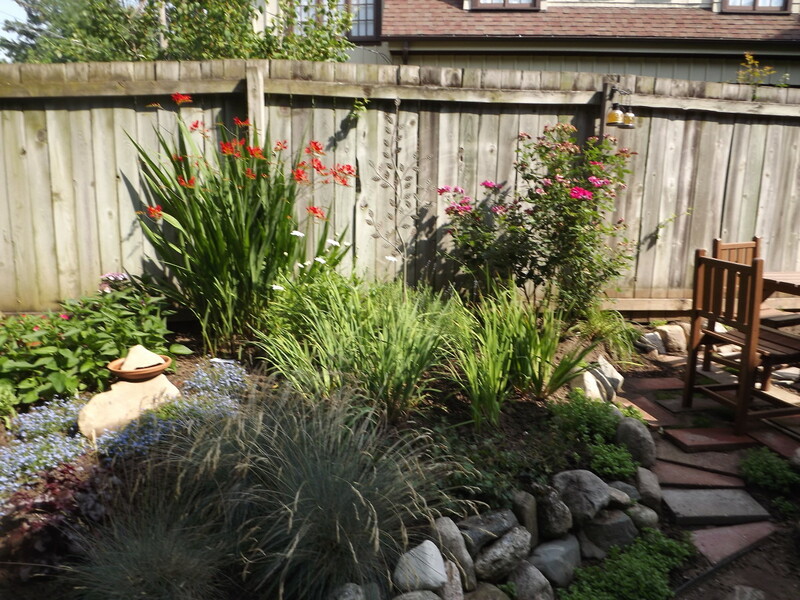 I love my gardens too and I have some of the native plants. Gail, Thanks for visiting the hub and voting up and sharing. Thanks for the compliments too. You have beautiful landscaping and took good pictures. Thanks for sharing the beautiful and informative hub. Voted up and shared. eugbug, My sister had something eat all of her lily bulbs too. Otherwise they just keep multiplying. We left one in the same place for 5 years and I couldn't believe how many bulbs were underneath them and how big they were. Now I have more red ones than anyone could want and have given them to lots of people. I don't have a lot of tiger lilies. They don't seem to do so well here for me. Thanks for reading and commenting. Hi Barbara! I love the Asiatic lilies, I can never get mine to last more than a couple of years. I reckon something must be eating the bulbs. Tiger lilies are very long lasting and hardy though. Enjoyed the hub and voted up! Organised Kaos, Thanks for the compliments. Gardening is one of my other hobbies. What an absolutely lovely garden. Admired the healthy plants. Nice work and ideas in here. Thanks. Eddy, Thanks for your nice comments. You take care too. So very well informed/useful and interesting. Here's to so many more to share on here. ishwaryaa22, Thanks so much for all of your nice comments and for voting up and sharing. You got a large and beautiful garden. After reading this engaging hub, you spoke like a garden expert, highlighting the importance of trimming the garden and making them beautiful forever. Your suggestions are clear and helpful. I will take up some of your valid points for my garden in my terraces. The photos looked very pretty. Well-done! i4u, Thanks so much and thanks for the compliments. We have shrubs here and I should use them in the garden more, but I have a bit of a shade problem already. I enjoy gardening too and it is a relaxing hobby for me. Wonderful information to bring out a flower garden indeed. Gardening is a joyful hobby and I do help my mom out in our garden which not only has flowers but some amount of delightful shrubs. Your advices are very useful in lot of ways and the photos looks amazing too by the way. brsmom68, Thanks for reading. You'll have fun when you do get your own property. Glimmer, Thanks for reading and thanks for voting up. I'd like to see your garden. Love your flowers and the ideas. My husband and daughter always get me a special perennial for mother's day so I have some interesting plants. Voted up! Little Red Wagon, Thanks for commenting. Yes it does make the work easier if you have help. I've always had a problem with my husband wanting to plant shrubs in all the wrong places. Right now we have one in front of our front window that will grow 10-12 feet high, because he insisted that is where it should go. I have to trim it down every year. Thanks for commenting. Thank you for the inspiration. I am planting perennials in a bed in front of my house. I find that my husband is a hindrance rather than a help. He just does not understand my vision. Unfortunately, his help is needed when I build up the beds and need his help with making a border. I guess I just need to work on my communication skills. lj, I need to get busy and do the same thing here. I have a granddaughter that wants everything extra I have though and that will help. Thanks for reading. Beautiful hub. I've been planting perennials for over 40 years and still make the mistake of not checking out height before planting. Right now, I need to go out and "divide and conquer" a few of my out of control varieties. Great job. mommytalks, I'd miss that part myself. Thanks for commenting. billybuc, I'm happy you'll be able to use the ideas. Thanks for commenting. Wonderful suggestions! We are going to move in three years so I won't be doing this now but at our new place I want perennials by the boatload and I will use your suggestions at that time. alocsin, Thanks for your commenting and voting up. I've always wanted to have one of these but never found the time. When I get around to it, this is hub is the first place I'll visit. Voting this Up and Useful. I'd recognize that backyard anywhere! Very pretty! Prasetio, Thanks for reading the hub and voting up. I'm happy to hear you loved the photos. Very informative hub. I love gardening and I learn much from this hub, including all stunning pictures. Thanks for writing and share with us. Rated up! susann23b, I'm happy to hear that you are able to use this info. You should enjoy your new perennials. This is a very informative hub with lovely photos! 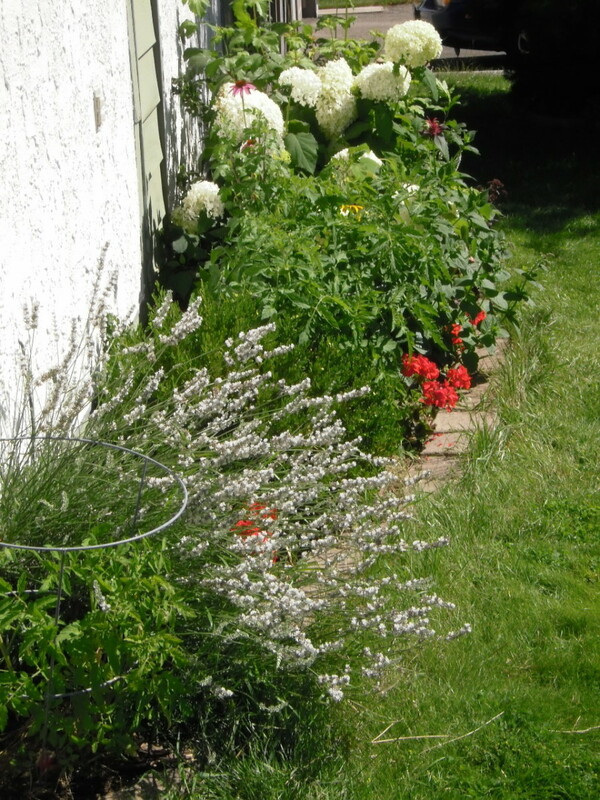 I always love reading gardening hubs. Gardening is not something that I naturally gravitate towards, but I love flowers. We are looking to replace some of the shrubs in our front yard with perennials. Thanks so much for the inspiration. Voted up! Useful and beautiful! Movie Master, Thank your for the compliment and commenting on the hub. I'm happy you enjoyed it. 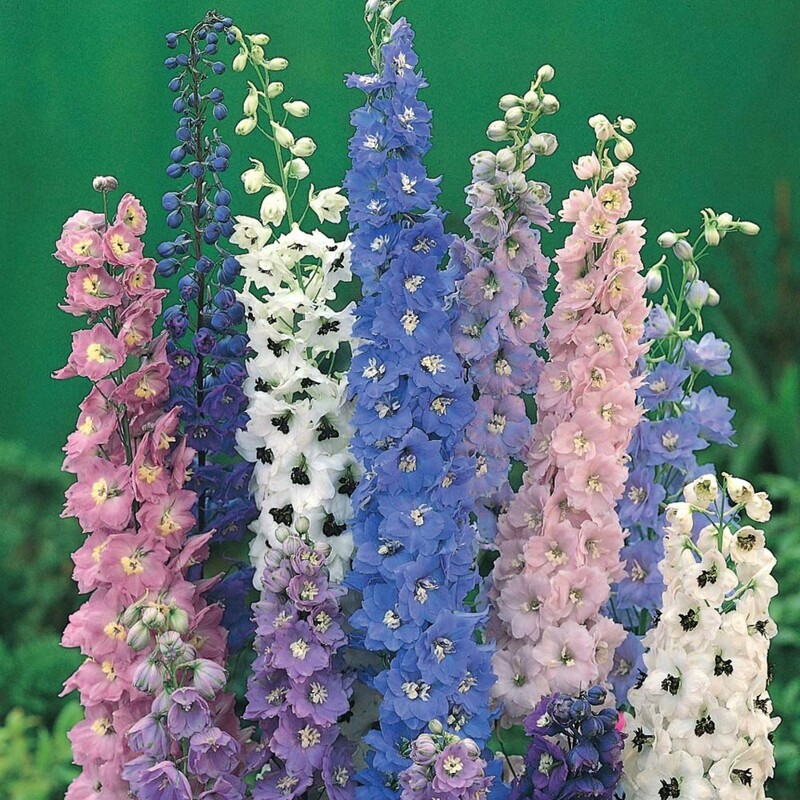 I like the idea of planting by colour, I have never considered planting a border just using a couple of colours. Your garden is lovely and thank you for the information and advice. Arlene, Thanks for reading and commenting on the hub. You've got to add a few flowers just for the fun of it. We had something like 20 roses, but we lived in an area with blackspot that was so bad, that we finally gave up. Now we live where there is no blackspot. Maybe we'll get into roses again. Voted up! Thank you for the inspiration, Barbara Kay. I do have some flowers, but most of my gardening has been limited to roses, herbs and vegetables. I enjoyed your writing and your illustrations. dagny roth, You'll have to share the pictures in a hub, so we can all see it. Thanks for commenting. Very beautiful! I am working on a raised bed wildflower garden and have been really enjoying the fruits of my labor. teaches12345, I have yet to make a raised bed myself. My hubbie just doesn't like the idea because of mowing around it. I myself don't think it would be any harder. As long as he does the mowing though, I go along with him. Thanks for commenting. sen.sush23, I have many more gardens around our yard. Some are big and some small. They all do have the same guidelines for creating them. Thanks for commenting. SMD2012, My husband is a musician and our gardens looked better when he helped with them. He enjoys home decorating too and everything has to have a perfect balance in our home too. Thanks for reading the hub and I enjoyed your comment about your Dad. I like the idea of a theme garden. Also, raised beds have always been attractive to me. This is a very useful hub topic and I enjoyed the ideas you listed. Barbara, though your garden seems to be quite big, the ideas you have given can be used even in planning a small garden. I do love the idea of the curvy line, which really would give even a small garden some flow. Very interesting Hub. Voted up.